Every day, our products help people to bring harmony into their lives, helping to look good, to keep order at home and a better life. Every day we work to bring harmony and make the future better. We help people feel good, look good and get more out of life through our products. We will inspire people every day to make small actions that will give the opportunity to improve themselves and the world. We strive to be №1 in Ukraine a reliable, strong cosmetic company that is trusted by customers and partners. We form long-term partnerships with suppliers, customers and business partners based mutually beneficial and trusting, open relationship. We create an atmosphere in which the professionals of the company Aqua Cosmetics Group using your experience and knowledge of advanced technologies and global trends, developing cosmetic products and products for home care that meet the interests of our clients. We are responsible for each sold product. on the quality of guard work very attentive and demanding employees of the department for quality control Aqua Cosmetics Group , are exercising triple quality control (incoming raw materials, intermediate control on production lines, output control). 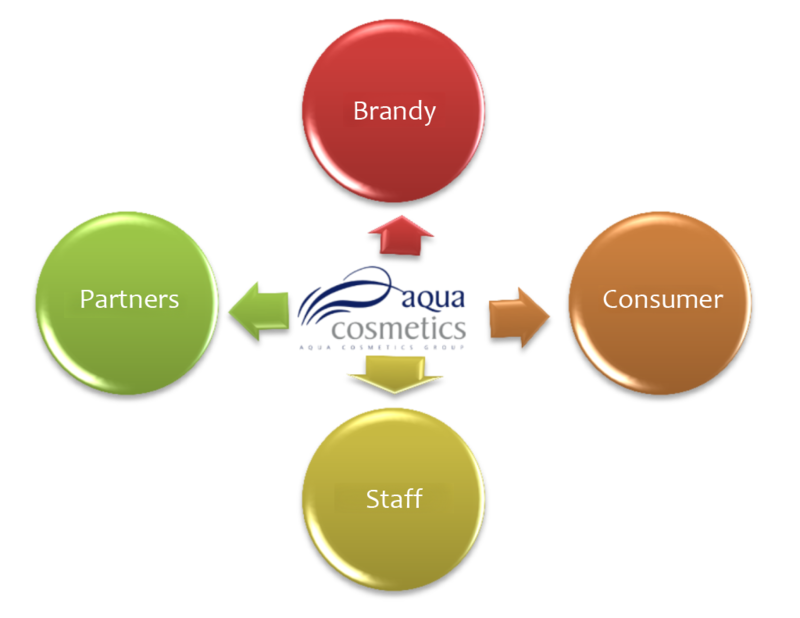 The values of Aqua Cosmetics Group based on four postulates are: brands, customers, staff and partners. We are confident in the strength of our brands and their ability to improve the quality of life of consumers, and to bring them to life with a sense of harmony and nature. Every day, the company’s specialists enthusiastically bring new ideas to improve product quality, the best of which is immediately introduced to production. Every employee feels responsible and contribute to the common cause. honest approach to business, respect for people and organizations with whom we work are the basic tenets of corporate culture Aqua Cosmetics Group . .